The Bunderim House, the residence tipped to host the Duke and Duchess of Sussex during their October trip for the Invictus Games, was previously enjoyed by Duke of Gloucester in 1934. Nestled in 6,315 square metres of luxurious gardens, Bunderim House boasts stunning views overlooking the Maroochy coast and river valley. The heritage-listed five bedroom, four bathroom home on the Sunshine Coast in southern Queensland is on the highest point of the northern slope of Mount Bunderim and is full of luxury features. It has a built-in bar and commercial wine fridge, a large resort-style pool and spa, games room and a five-vehicle garage. The house was built in 1913 has hosted nobility in the past. Prince Henry, the younger brother of Edward VIII and George VI, visited Australia on a royal tour to participate in centenary celebrations of the state of Victoria. He stayed in Queensland for nine out of his 63-day tour of the country. Listing agent Lew Potting from Ray White says the heritage-listed home is the perfect fit for royalty. The home has since been renovated from a rundown commercial function space into a stunning, family-friendly property by the current owners Tim and Jackie Banks. The house still keeps with tradition as it has a grand entrance, fireplaces, high ceilings, French doors and oak cabinetry. Mr and Mrs Banks have listed the home for sale, sparking speculation the royal couple could spend their time there. 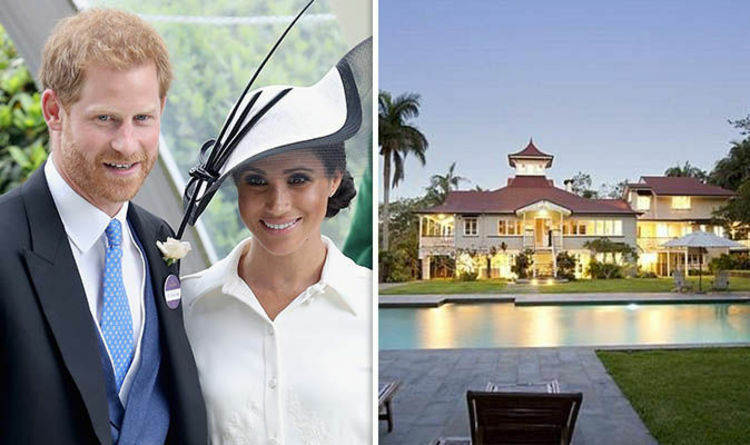 It was previously thought Meghan would stay in Noosa, an Australian resort on Queensland’s Sunshine Coast, because her Suits co-star Gabriel Macht own property there.